We have a latest update regarding the need to pass additional requirement for all our seaman loan applicants. Some of our lending company providers have opted to require borrowers now to submit their latest 2 pages of seaman embarkation and disembarkation details. This will contain the last departure, joining port stamps as indicated in the seaman book. Otherwise, a sea service record book will be required by the lender. 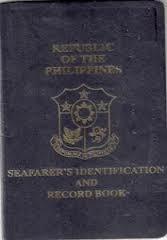 This is a new policy involving prevention of fraud and establishing identity of last contract of the seafarer. Failure to submit this new requirement will mean a hold of process of seaman loan application. Further processing will only push through as soon as the applicant will be able to provide it to the marketing consultants or non-collateral loan processors. Please be guided accordingly and SUBMIT ASAP. This entry was posted in News and tagged loan requirement, policy update, sea service, stamped document. Bookmark the permalink.